This is like it used to be "in the old days"
My report on the show follows. 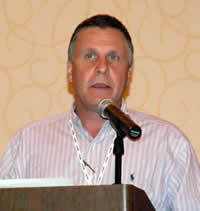 There was a lot of praise for Ted McNaught, the founder and President of the AAPC, for his three years of leadership. There was also a lot of enthusiasm about the future of the association under the able new leadership of Bruce Deer. I would like to continue my report on the show next week with more comments from anyone who attended. Also, if anyone has digital photos available, please send them to me. I am sure everyone else would like to see them too. Now I am going to make some radical statements. Of course this is nothing new for me, but if I am wrong I know someone will tell me. I asked Vic Jackson to come to the AAPC Wireless Forum and to present some ideas that he and I have been discussing for some time. Some ideas of how Paging companies could morph their business model into one of the most exciting new developments of telecommunications: VoIP. Vic explained how Paging Carriers might be able to use their excess DID telephone numbers to offer telephone service. There are many issues to be addressed but they all seem to be achievable. Vic is certainly an expert in both the legal and technical issues that are involved. The day may come when Paging companies will regret that they removed their infrastructure from service—too soon—just to reduce operating expenses—and missed a MAJOR business opportunity. Just imagine: if you wanted to start a nationwide VoIP telephone company (like some are doing) and you could find equipment already installed with millions of telephone numbers already assigned with local dial-in everywhere in the country . . . do you see where I am going with this? Come on! Let's get some discussion going. This is too big an opportunity to let it slip by. Be sure to read the news article on VoIP near the end of this issue for more background info and market forecasts. Some of the so-called "problems" are actually opportunities. Like the e911 issues that everyone is talking about. Looks to me like there is a simple solution to incorporate a GPS chip into the telephone like the TRACE tracking device uses. If you have a fast broadband connection to the Internet be sure to see Allan Angus' presentation on the TRACE device—it is one of the best I have seen. By the way, Rick Van Dyne at Heartland Communications has a lot of paging equipment in his warehouse that he would like to find a good home for. Take a look at the Heartland ad below and call Rick at 1-800-810-7053 ext. 130. Tell him Brad sent you. The guys at TAPS—the Texas Association of Paging Services would like to add members to their 152.480 MHz paging network via their shared satellite service. They are also offering satellite service to anyone who may need it for their own network. If you have any interest at all, please send me an e-mail and I will call you so we can discuss this opportunity in detail. SLIDES After it finishes downloading, keep clicking your mouse to advance through the presentation. Broadband Internet connection recommended. Co-chairman Welcome to the Evolution. CEO MessageNet Systems A browser-based online phone directory that integrates Paging systems to unify private and public everyday and emergency communications. Senior Manager Product Development SkyTel Corporation FleetHawk Tracking and Remote Access Applications. 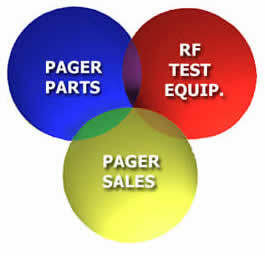 (SelectPath) New ways to sell one-way Paging service to existing customers and new customer groups, new ways to use the infrastructure we have and the talents and skills we have as wireless operators to develop new revenue sources, and the survival of our industry. Legal Counsel to the AAPC Regulatory Affairs Update— A Paging Carrier's Duty to Negotiate Interconnection Arrangements. President Interconnection Services, Inc. How Paging Carriers might use their excess DID telephone numbers and infrastructure to build new VoIP telephone businesses. CTO TRACE Technologies SLIDES After it finishes downloading, keep clicking your mouse to advance through the presentation. Broadband Internet connection highly recommended. Updates to the ReFLEX protocol. (GTES) Network Reliability and Security. 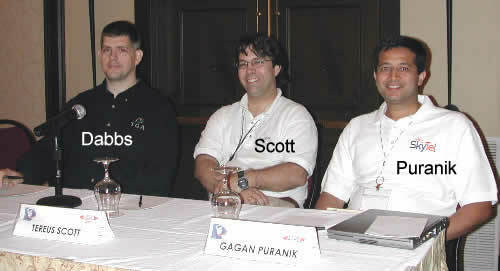 Chief Wireless Systems Architect SkyTel Corporation The Future of Paging Technology. A short tribute . . .
Edward “Ted” McNaught, Jr. is the President and CEO of NEP, LLC d/b/a Northeast Paging in Maine and UCOM Paging in NH, MA, CT, VT, & RI. He is also the President and CEO of API, a wholly owned subsidiary of NEP. Mr. McNaught began working in the Paging industry in 1986 for the former Summit Communications, Inc. located in Portland, Maine. 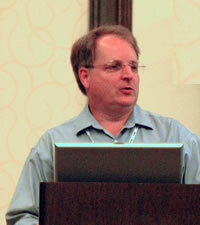 NEP hired Mr. McNaught in 1993 to expand and grow the business. Since then, under his leadership, the company has grown from a 6-transmitter system serving 900 subscribers to a 154-transmitter system with over 65,000 subscribers. 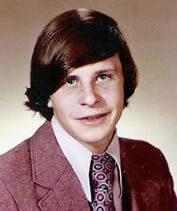 Mr. McNaught has also served as an expert witness in CRMS litigation. He has a BA in Sociology and a minor in Business Administration concentration in finance from Massachusetts College of Liberal Arts. "A man is known by his friends"—is a well-known proverb. Ted McNaught is a man with many friends. Surely there is not a higher tribute than to say a man has earned the respect and admiration of his colleagues. Although Ted has not quite reached his 50th birthday, he has already been surprised with several birthday celebrations from his friends and family. So happy birthday again Ted and thanks for your vision and dedication in starting the AAPC. 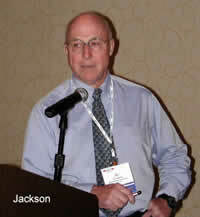 AAPC’s first Wireless Forum was a huge success. Thank you to everyone who attended and supported the event! With more than 150 people attending, 22 companies exhibiting, and endless opportunities for networking with other professionals, this truly was the premier event for the paging industry! Thanks to our EXHIBITING COMPANIES! The founder and first president of AAPC, Ted McNaught, turned over the reigns of the association, to Bruce Deer at the annual AAPC meeting. Thank you Ted for your dedication, vision, and exceptional leadership during the past three years! Welcome Bruce! Thanks to our SPONSORING COMPANIES! Members — Do you have a new product you would like to feature or share in the newsletter? We want to help you promote your company, please submit content to info@pagingcarriers.org. Chandler, AZ; June 2, 2005 — Space Data® Corporation, a company providing wireless data services in rural and remote areas, today announced a mutual roaming agreement with MCI, Inc (Nasdaq:MCIP) that extends MCI’s SkyTel footprint throughout Texas and Oklahoma and provides Space Data with the ability to offer extended service via SkyTel’s network. Both companies expect to begin offering roaming for location and fleet management services in June 2005 with two-way messaging service to follow later this year. Space Data’s aerial SkySite Network is unique in its ability to provide reliable, affordable data communications to rural and remote areas. The company offers 24/7 data communications services for messaging, telemetry, and vehicle location applications throughout the entire states of Texas, Oklahoma, and Louisiana, as well as eastern New Mexico, western Arkansas and portions of the Gulf of Mexico. For more information about SkyTel, please visit www.skytel.com. For more information about Space Data Corporation, please visit www.spacedata.net. Editors Note: Space Data and SkySite are registered trademarks of Space Data Corporation. Shares in Research in Motion fell sharply yesterday after the Canada-based maker of BlackBerry mobile e-mail devices said it was going back to court after hitting an impasse in finalising a $450m patent dispute payment to NTP, US-based patent holding company. RIM's shares fell more than 5 per cent yesterday to $73.55 after the company disclosed that it has asked the US courts to enforce the terms of a court-approved deal struck with NTL in March designed to end a long-running patent dispute between the two companies. RIM said it was returning to court because "NTP refuses to honour its obligations". The Toronto-based company added that it was reviewing any potential accounting implications of the latest developments and would provide a further update when it reported first-quarter fiscal 2006 results on June 29. RIM said it has already set aside the funds to make the payment. NTP successfully sued RIM in 2002 for patent infringement and won an injunction in 2003 halting US BlackBerry sales. That was suspended pending the outcome of the appeal process. In December the appeals court upheld the patent infringement finding but said part of the earlier ruling was flawed and sent the case back to a lower court which sanctioned the proposed $450m payment by RIM in March. Although the settlement was one of the largest of its type, it was welcomed by shareholders because it appeared to remove a major uncertainty hanging over the stock. In the immediate wake of the proposed settlement, RIM's shares gained 17 per cent. PanGo Networks (www.pangonetworks.com) today announced that it has formed three new strategic partnerships to deliver advanced active RFID solutions to a growing market. The new partnerships come as PanGo adds ten new customers in healthcare and the public sector and witnesses unprecedented demand for its industry-leading product, PanGo Locator®. PanGo Locator is the only complete RFID solution in the world that uses a business' WiFi access point infrastructure as a reader network, thereby eliminating a separate and costly overlay of hardware and associated labor. PanGo's complete solution includes an application platform that integrates with third party location technologies, a rich, intuitive end user application for asset monitoring and reporting, as well as web service interfaces for rapid integration into third party, or home-grown business systems. PanGo's new partners and their customers have identified active RFID as a strategic technology and a business priority. The partners each bring tremendous track record of success in RFID, enterprise networking, systems integration and deployment. BCS Networks (www.bcsnetworks.com) brings over 100 years of experience in communications. As a Business Partner with Cisco, Alcatel, Orthogon Systems and Avaya, BCS Networks provides turnkey wireless solutions to best suit customer needs and is currently working with a leading hospital in Michigan to incorporate a joint asset tracking solution that integrates Cisco's new wireless location solution with PanGo's location based applications. 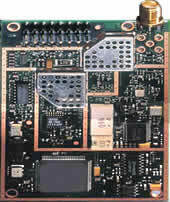 RSI ID Technologies, Inc.(http://www.rsiidtech.com) is one of the nation's only full-service providers for RFID technology, including systems integration, data collection and all manufacturing and assembly of components. The company delivers customized RFID solutions to customers in industries such as electronics, healthcare, manufacturing and government, and is currently working with more than a dozen of Wal-Mart's top suppliers. "RFID adoption is on a steady incline, as is the demand for active RFID-enabled location solutions," said Wolf Bielas, CEO of RSI ID Technologies. "These solutions will increase the overall value and time to ROI for our customers. Our partnership with PanGo further reinforces our commitment to offer superior technology and services to our customers." 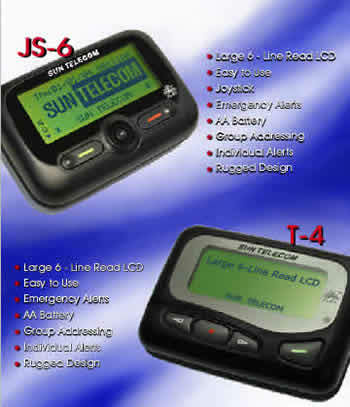 GTES (http://www.sherlocgps.com) began as the leading infrastructure provider for wireless pagers and as a result, holds deep rooted relationships with a healthcare organizations including 6000 hospitals across North America. "The market potential and excitement for locationing today is akin to the opportunity associated with pagers in the 1980's," said Russ Allen, President, GTES." The difference is that today, our clients can capitalize on their existing infrastructure to reap the benefits of location-based systems." "Our new partners extend the power of an already compelling technology and make it easier for customers to deploy and integrate within their operations," said Michael Campbell, Executive Vice President of Business Development, PanGo Networks. "Each of them uniquely expands our geographic reach, domain expertise and ability to acquire and keep satisfied customers. The partnerships reflect an important step in the evolution of PanGo Networks." For information about becoming a PanGo Networks partner, please refer to the following link: http://www.pangonetworks.com/registration.htm. PanGo Networks® is a recognized leader for location-aware wireless systems for the enterprise market. PanGo's software solutions transform off-the-shelf 802.11 infrastructure into a platform for intelligent applications, solving real-world problems today. Through its flagship PanOS® Platform and mobile applications, PanGo offers the industry's first comprehensive location-based system for real-time asset visibility and context-aware information delivery. Specializing in a range of markets including healthcare, manufacturing, higher education, visitor attraction and government, PanGo delivers reliable and accurate information about the location of connected devices, people and assets. PanGo's location-aware systems enable optimal information management and workflow, and provide measurable and significant return on investment. For more information, visit http://www.pangonetworks.com. ATLANTA—Verso Technologies, Inc. (Nasdaq: VRSO), a leading provider of packet-based solutions, today announced that Mark Dunaway has joined its board of directors. Mr. Dunaway serves as the Chief Executive Officer and Chairman of Composite Materials Technology, based in Atlanta, Georgia. Most of his career has been in the telecommunications sector, including 25 years in the wireless sector. In the last 20 years, Mr. Dunaway was a founder of Preferred Networks, a wireless network and service company. Preferred Networks was taken public in 1996. Mr. Dunaway resigned in 2001. 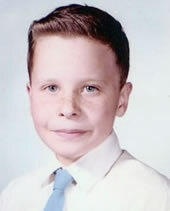 Subsequently, he co-founded and served as Chief Executive Officer of a paging and cellular company; both achieved over $100 million in annual sales. Both companies were sold to Bell Atlantic Corporation (now Verizon). Subsequently, Mr. Dunaway served as President of British Telecom's pager subsidiary in North America where he was actively involved in several domestic acquisitions. 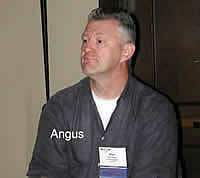 Mr. Dunaway left to found the Beeper Company, a national paging company which was later sold to Arch Communications. He also co-founded Friend Technologies, a telecom services company, which was sold. Mr. Dunaway served as a partner and co-founder of Criterion Partners., LLC, a private equity investment firm based in Atlanta, Georgia. Mr. Dunaway served as a board member for several public companies including Dial Page, Preferred Networks and Cypress Communications. Mr. Dunaway is filling the vacancy left by Steve Raville, who resigned from the Verso board on May 31, 2005, due to a new business venture which required Mr. Raville to resign from any public boards. "I would like to personally thank Steve Raville for his time and effort at Verso," commented Steve Odom, Verso's Chairman and Chief Executive Officer. "We are saddened to see Steve leave the Verso board, but understand that this situation was unavoidable and wish him the best of luck. On another note, we are pleased to welcome Mark Dunaway, as he brings tremendous telecommunications experience to our board. He was highly recommended by one of our independent board members based on his strong entrepreneurial skills as well as management experience and knowledge of our industry. We look forward to working with him." Verso is a leading provider of next generation communication solutions for service providers that want to lower their communication infrastructure costs and enhance service capabilities without sacrificing reliability, scalability and quality of service. With an extensive solutions portfolio that extends from the core to the edge of a network, Verso enables customers to leverage legacy technology investments towards converged networks that are faster and more cost-effective to deploy and easier and more flexible to manage. Verso solutions are currently deployed in thousands of customer networks in over 120 countries. For more information, contact Verso at www.verso.com or call 678-589-3500. GTES announces the availability of its SHERLOC? location service application. GTES announces today that its new location service offering SHERLOC? is ready to begin pilot testing with select customers. SHERLOC? is a web-based service that tracks the location of specialized wireless devices produced by a number of manufacturers. The system makes use of the latest advances in mapping services and wireless location, and combines these technologies with an intelligent business-oriented application that is simple to manage and yet scales to meet the needs of customers from SMB to enterprise. The approach of being both device and wireless carrier agnostic is unique in the industry. “In the research that we did prior to launching this project we saw that most location services providers were dedicated to one type of device and wireless network “ stated GTES President, Russ Allen. “GTES is committed to supporting the most up to date wireless data services and location enabled products, so as to enable agents and resellers to tailor a solution specific to their client’s needs”. According to Frost and Sullivan Location Services will be a 4-5 billion dollar industry by the year 2010. GTES believes that technology has advanced to the point where location services have become a cost-effective and powerful tool suitable for large and small businesses, even when operating in dense urban environments where traditional location technologies have been unreliable. “We see the ability to use a small battery-powered pager-sized device will be an enormous boon to businesses who need to efficiently manage their mobile assets or track their high-value shipments”, said Gunnar Jonsson VP and General Manger. With over 30 years of experience at providing carrier-grade solutions to the wireless industry, GTES is able to offer our customers the support they will need to integrate location-based intelligence into their business. GTES is working with a several leading device and wireless partners to enable this new and exciting business opportunity. The latest generation of wireless location devices employ a technology that allow them to operate with internal antennas, and they don’t require a clear view of the sky to provide an accurate fix. “Thanks to the E911 mandate by the federal government in the US, improvements in GPS based location performance have been dramatic,” said Peter Carr, Vice President of engineering for the company. For more information on SHERLOC? please contact Brooks Marsden, VP of Sales, at 770-754-1666, email us at sales@sherlocgps.com or refer to our website at www.sherlocgps.com. GTES Inc. is a privately held company offering paging and wireless messaging infrastructure sales, services and support to telecommunication carriers and other service providers worldwide. GTES Inc. is an authorized licensee of the paging infrastructure technology owned by Glenayre Electronics, Inc.
Leveraging over thirty years of experience in the development and support of carrier grade wireless solutions, GTES has just launched SHERLOC™, a hosted wireless location service supporting multiple location and wireless linking technologies. DENVER, May 31 /PRNewswire/—TensorComm, (http://www.tensorcomm.com/) a wireless technology company that enables CDMA and W-CDMA carriers to increase network capacity and utilize their spectrum more efficiently, announced today that it has secured $7 million in financing led by new investor Centennial Ventures. All existing investors, including Access Venture Partners, Crawley Ventures, and iSherpa Capital, also participated in the financing. TensorComm has developed a patented Interference Cancellation Technology (ICT™) that delivers a cost-effective, easily deployable CDMA and W-CDMA component that fits in a mobile handset without requiring form factor changes or radio frequency (RF) redesign. Providing immediate improvements in network economics, ICT™ gives wireless carriers the flexibility to improve network capacity, coverage and service quality while enhancing Internet services for high-end data users. In 2004, wireless carriers spent $39 billion on infrastructure equipment to increase capacity and for network build out. The performance of ICT™ has been proven on a commercial network and its economic benefits have been validated by a major U.S. carrier to be in the billions of dollars. ICT™ is the only technology of its kind capable of canceling interference from all channels in a signal, including pilot, paging, synchronization, voice traffic channels and supplemental data channels. ICT™ is designed specifically to anticipate future extensions for handset and base station technologies. "Controlling operating and capital expenditures, while evolving their networks for projected growth, is a major challenge faced by carriers worldwide" said Steve Halstedt, managing director and co-founder of Centennial. 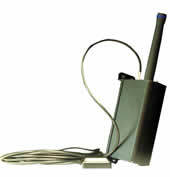 "TensorComm has developed a breakthrough technology and the strategic partnerships to deploy it in wireless networks. We are impressed with the team and its relentless determination to succeed." Mr. Halstedt will join TensorComm's board of directors. This round of financing will be used to commercially deploy ICT™ enabled handsets, aggressively continue development of CDMA and W-CDMA products and focus research and development efforts on evolving technologies, such as WiMax and OFDM. In addition, it will support the expansion of its management team and further its business development efforts, primarily in Europe and Asia. "Our first round of funding was based on the promise of proving our technology solution and its economic benefits," said John Thomas, CEO and founder of TensorComm. "We have now proved the technology and its benefits on commercial networks and will use this funding to accelerate the deployment of ICT technology in CDMA and WCDMA networks worldwide." Founded in 2001, TensorComm, Inc. is a privately held wireless technology company based in Denver, Co. Prior to starting TensorComm, Dr. Thomas spent eight years developing this breakthrough interference cancellation technology as a co-founder Data Fusion Corporation, a Defense contracting firm that created the intellectual property at the foundation of TensorComm. 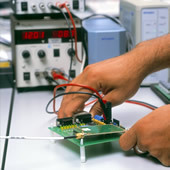 Since its inception, TensorComm has continued to advance its foundations in research, development and testing of ICT™. For over 20 years Centennial Ventures has partnered with extraordinary entrepreneurs to build successful businesses. Centennial is a venture capital firm that invests in network companies and related enabling software and technology enterprises, with the potential to be markets leaders. With its focus on both early and later stage opportunities, Centennial has over $1 billion under management and offices in Austin, Denver, and Houston. The company has invested in over 100 communications and related companies. Cencom Cable, OneComm, Brooks Fiber Properties, Crown Castle, and Verio are examples of successful portfolio companies that it has assisted in growing into market leaders. For more information, please visit the companies' web sites located at http://www.tensorcomm.com/ and http://www.centennial.com/. MEXICO CITY—(Dow Jones)—Mexico's telecommunications sector grew 20.6% in the first quarter of this year, the Federal Telecommunications Commission, or Cofetel, said Wednesday. Cofetel, as the regulator is known, said tariff promotions by wireless and long-distance operators, as well as competition for increased share of the data transmission market, were among factors that contributed to the expansion, which it measures by an index of industry output. Telecommunications again outpaced the economy as a whole, which grew 2.4% from the first quarter of 2004. The commission said mobile telephony grew 35.2% from the year-ago period, with the number of users standing at 40.8 million at the end of March. Users of trunking services, which include push-to-talk, rose 22.7% to nearly 1 million, while paging continued to decline at a rapid pace as message services offered by wireless and trunking operators gained steam. Cofetel said it expects the recently completed auctions of 800 MHz and 1,900 MHz wireless spectrum to contribute to future growth, as operators expand the reach of wireless and trunking services. The number of fixed lines increased 9.8% to 18.5 million at the end of March, or 17.7 lines per 100 inhabitants. Operators other than dominant carrier Telefonos de Mexico SA (TMX) accounted for 7.7% of the lines added in the quarter. Incoming international call traffic grew 31.8%, and outgoing traffic 2.1%, while domestic long-distance was up 5.8% from the year-ago quarter, Cofetel said. Cofetel said subscription television services grew 9.5%. Cable TV subscribers rose 8.1% to 2.97 million, and satellite TV subscribers rose 2.4% to 1.08 million. RESTON, Va., May 27 /PRNewswire-FirstCall/—NII Holdings, Inc. (Nasdaq: NIHD) (the "Company") announced today that Daniel Freiman has been appointed to serve as Vice President and Controller by the Board of Directors. NII Holdings, Inc., a publicly held company based in Reston, Va., is a leading provider of mobile communications for business customers in Latin America. NII Holdings, Inc. has operations in Argentina, Brazil, Mexico and Peru, offering a fully integrated wireless communications tool with digital cellular service, text/numeric paging, wireless Internet access and International Direct Connect(SM), an extension of Direct Connect®, a radio feature that allows Nextel subscribers to communicate instantly and across national borders. NII Holdings, Inc. trades on the NASDAQ market under the symbol NIHD. Visit the Company's website at http://www.nii.com. I really enjoyed talking with you on the plane. The AAPC meeting was the best meeting that I have been to in years for the paging industry. I was thoroughly impressed with the amount of vendors that were present with new ideas for how to use paging. Most people have the belief that paging is dying, all they would have to do is just look at a few of the ways that paging can be used to save companies money. If people would just think about the things that we waste time driving to do everyday that we could just do with a phone call, we would end up with so many uses for paging that we as the paging carrier would not be able to keep up with the demand. The proven infrastructure of paging is far superior to anything else available today from anybody. We add the ability to use the internet for transporting data or voice to remote locations or other paging companies, then we have the means to create a unsurpassable data market for every company out there. I now have the ability as a CMRS carrier to have phone numbers any where in the nation using VoIP and do virtually anything with those phone numbers, this used to be cost prohibitive not any more. I have not been this excited about paging in many years. 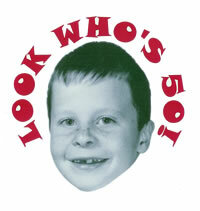 Brad keep up the good work on your web site. Without someone spreading news about paging, we would all be isolated in our little corner of the world and never expand our horizons or open our thoughts to new ways of doing things. A US-based company has developed a 'rugged' wireless phone specifically for the UK wireless healthcare market that can survive being dropped several stories and having fluid spilled over it. 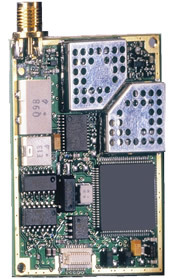 The NetLink h340 (right), manufactured by Colorado-based SpectraLink, is designed to work over low-power hospital wireless LANs, integrate into the main hospital switchboard, and also run specific applications provided by third parties. For instance, software can be installed on the phone that will link into patient alarm systems, notifying healthcare professionals if the vital signs of any patients they are responsible for give cause for concern. Gary Mead, international vice president of SpectraLink EMEA, told E-Health Insider: "You now have an increasing number of applications developed that can then be relayed straight to the Spectralink phone." He added that the h340 phones had been designed in response to feedback from staff using phones already supplied across SpectraLink networks, who wanted something that was durable and also with backlighting; a specific request by staff working in dimly-lit conditions. The h340 phones are not currently in operation in the UK yet. However, SpectraLink have other phone models and a wireless network installed in West Dorset Hospitals NHS Trust, who are slowly beginning to replace their paging system with the devices. "In West Dorset we very simply provided them with a wireless phone that they can use. They figured out that they needed to get the phone in the hands of the nurses and doctors," said Mead. According to the company, the networks and phone do not interfere with electrical equipment and have been tested in West Dorset for this. SpectraLink also say that they comply with all security protocols on the IEEE 802.11b standard. As well as several installations in the US and Canada, where the NetLink h340 phones are currently in operation, SpectraLink are also active in Germany, Australia and Scandinavia. Mead said: "Healthcare is our primary focus area right now. Our mission is really education - we are trying to inform people in terms of some of those new technology coming out." LAKE OSWEGO, Ore.—Tut Systems Inc. (Nasdaq: TUTS - News), an industry pioneer in enabling the delivery of next-generation data and video services over broadband networks, today announced that it is deploying what it believes is the first MPEG-4 AVC digital TV headend in North America at Farmers Telephone Cooperative, Inc. in Kingstree, South Carolina. Farmers Telephone Cooperative, Inc. (FTC) selected the Tut Systems Astria® Digital TV platform to serve as the core video processing system for its all-MPEG-4 AVC digital headend. Tut Systems is also providing comprehensive systems integration services to FTC, including design, assembly and pre-launch testing of its digital headend. FTC plans to commercially launch its Digital TV service in the fourth quarter of 2005. FTC is the 3rd largest telephone cooperative in the United States, serving more than 60,000 consumers. The company currently offers local, long distance, paging, digital wireless, high-speed Internet services, business solutions and data networking. "MPEG-4 AVC supports all of the services we believe are required to effectively compete in today's digital entertainment marketplace," said Robin Coker, Chief Marketing Officer for FTC. "Tut Systems' MPEG-4 AVC solution has shown a significant quality advantage over other solutions and the flexibility of its platform ensures that it will continue to improve with time and support advanced functions. The track record of success Tut Systems has had in helping more than 120 telephone companies roll-out Digital TV, along with its active involvement in both the MPEG-2 and MPEG-4 AVC (H.264) standards bodies, made them the clear choice. The company's Astria platform provides us with a proven IPTV solution capable of delivering compelling, next generation digital entertainment services over DSL." "Deploying the first MPEG-4 AVC digital headend demonstrates FTC's commitment to delivering a highly competitive digital entertainment package," said Craig Bender, VP of Marketing & Corporate Development for Tut Systems. "We believe this is the first of many all-MPEG-4 IPTV systems that will be deployed and is the starting point at which the IPTV industry rapidly moves towards a next-generation delivery platform and video compression standard." Microsoft Chairman Bill Gates has called this Internet-aided feedback loop "frictionless" because it minimizes the distorting and masking effects of the middleman. It is one of the purest examples in history of the benefits of free-market capitalism. Of course, the cellphone carriers aren't Communists, and they aren't evil. They spent billions of dollars to acquire and build their networks. They have every right to want to manage these networks carefully and to earn a fair return on their investments on behalf of their shareholders. However, I believe that, in the name of valid business goals, the U.S. carriers are exercising far too much control over the flow of new technologies into users' hands. In an ideal world, any tech company with a new cellphone, or with software to run on cellphones, should be able to sell it directly to users. These customers would then separately buy plans from the cellphone companies allowing those devices to work on the networks. More recently, unidentified cellphone carriers are reported to have balked at allowing customers to buy a new phone, jointly designed by Motorola and Apple Computer, that would let users synchronize and play back music from Apple's iTunes computer program. One possible reason: They want to sell music themselves. At last month's D: All Things Digital technology conference, which I co-produce for The Wall Street Journal, Apple CEO Steve Jobs said he was wary of producing an Apple cellphone because, instead of selling it directly to the public, he would have to offer it through what he called the "four orifices" -- the four big U.S. cellphone carriers. But we've heard that before, and it wasn't true then. Until the 1970s, when the government forced open the market, the old AT&T phone monopoly refused to let consumers buy phones and plug them into their home phone lines. You could only rent phones, and they had to be models made by an AT&T subsidiary. AT&T said the restriction protected the quality of the wired phone network. But, lo and behold, when the ban was lifted the phone network was just fine, even though consumers were plugging in millions of less expensive, more innovative phones. Enabling technologies and trends such as deregulation, open-source applications and cheaper more powerful processors have significantly lowered the barrier of entry to becoming a service provider. While these trends foster competition, they also encourage the entry of providers that may not be able to provide the level of service required for business class IP Telephony, said VoIP Inc.'s Albert Rodriguez. Once criticized for unreliability, Voice over Internet Protocol (VoIP) is now making headlines for it flexibility. Once accused of being difficult to deploy, VoIP is today being touted for its ease of use an manageability. Indeed, VoIP technology has come a long way in just a few years. The "not quite ready for prime time" claims are falling by the wayside as the technology moves into the mainstream. How mainstream is it? Research consultancy Atlantic-ACM predicts the retail VoIP market will grow at a compound annual growth rate of 64 percent through 2009. The technology will penetrate 12.1 million households by the end of the decade, according to Jupiter Research. That represents about 10 percent of U.S. households. Moreover, enterprise adoption of VoIP spending was up 46 percent last year, according to Infonetics Research. The firm predicts 29 percent of large, 16 percent of medium and 4 percent of small enterprises in North American will have adopted VoIP by the end of 2005. Security, one of the last remaining challenges, is now being addressed by industry vendors and researchers that have banded together to form the VoIP Security Alliance. The alliance is entrenched in defining security requirements for Internet telephony networks. Analysts say the outcome could be a significant boon for the industry. TechNewsWorld caught up with Albert Rodriguez, vice president of VoIP Inc., a global service provider of VoIP solutions for residential and business customers. Rodriguez discussed industry trends and challenges—and where VoIP is headed. TechNewsWorld: VoIP is certainly gaining momentum. What are the most encouraging signs that this technology is set to explode? Albert Rodriguez: The fact that we see Vonage and AT&T (NYSE: T) advertising on national television is certainly indicative of the mainstreaming of VoIP. It's amazing that you can simply walk into your neighborhood big box electronics retailer and have your choice of VoIP providers. What is not as obvious—particularly to the layman—is the paradigm shift among enterprises. In the most recent quarter, IP PBX shipments actually outnumbered legacy PBX shipments for the first time. Anecdotally, I recently met with several enterprise CTOs and telecom mangers and was astounded that very few of them actually questioned whether VoIP worked; their primary focus was how VoIP could work for them. TechNewsWorld: What challenges remain to be tackled? Rodriguez: Aside from the obvious e911 concerns, most of the technical issues related to basic functionality have been addressed. At this point, VoIP providers are focused on adding additional functionality to their hardware and service offerings to stimulate consumer adoption. The true challenges lie in increasing customer awareness and comfort level with enabling technologies, and promoting a favorable regulatory environment. TechNewsWorld: What steps is the industry taking to overcome those challenges? Rodriguez: Avaya (NYSE: AV) , Cisco (Nasdaq: CSCO) , Vonage and AT&T are spending a fortune advertising on national television and making great strides in educating the general public. Smaller equipment and service providers are also meeting the challenge by increasing advertising and marketing budgets in trade magazines, shows, and other industry-focused media. Just a glance at how VoIP-related publications have swollen from advertising clearly indicate the marketing commitment the industry has made. TechNewsWorld: What are the biggest myths about VoIP? Rodriguez: That it is inherently not as reliable or does not meet the quality of legacy TDM service. What is not understood by the general public is that most long distance telephone calls today already traverse a VoIP network at some point on the carrier's backbone. The key to assuring quality and availability lies not in VoIP, but the management of the underlying IP network. TechNewsWorld: How are deregulation issues impacting the VoIP industry? Rodriguez: The FCC has time and again ruled in favor of protecting the deregulated status of VoIP to ensure that the technology is properly incubated and continues to deliver on the mandate to foster competition in the telecommunications industry. As a disruptive technology, VoIP has allowed a new breed of telephone company to emerge that delivers true competition with enhanced functionality and downward price pressure. While some sort of regulation and/or classification is imminent, the current environment points towards a light-handed approach that will not impede upon the growth of VoIP. In fact, many in the industry are calling for some regulatory activity to ease the concerns of the investment community. TechNewsWorld: You mentioned e911. What about 911 issues? The FCC is pushing for VoIP providers to provide 911 support. What challenges does that present to the industry? Rodriguez: It is important to view 911 as an opportunity and not an issue. The convergence of voice and data on a single network provided almost limitless possibilities to enhance emergency services. There are hospitals today using wireless IP (Wi-Fi) phones that allow teams sharing a single channel to broadcast messages without dialing an extension. Nurses broadcast their requests for help to move patients without the need to recall extensions or rely on paging systems. Efficiency increases and patients benefit from improved bedside attention. The enhanced emergency system of the future will make available a variety of devices allowing us to alert relatives or neighbors with an e-mail, telephone call or text message. TechNewsWorld: On a scale of 1 to 10, how reliable is VoIP connectivity today? And how soon before those connections are 99.99999 percent reliable? Rodriguez: In today's world, data communications can be as important, and in some cases more important than voice communications—think eBay (Nasdaq: EBAY)—therefore, IP networks can be engineered with a high degree of redundancy and fault tolerance. Keep in mind that the Internet was originally developed by the Defense Department to provide a distributed network with limited single points of failure. As VoIP is as reliable as the underlying IP network, it can be engineered to provide the degree of availability required by the specific application. TechNewsWorld: Some analysts have said that the VoIP boom is beginning to strain some ISPs, which could cause a degradation in network performance. What steps is the industry taking to address this issue? Rodriguez: During the telecom boom of the '90s, service provider networks were built out extensively and are generally running below capacity at the moment. While VoIP is certainly one of the "killer apps" that will stimulate Internet consumption, the relatively small bandwidth requirements should have little impact on these networks. Multi-media applications such as videoconferencing do pose a threat to network performance, however given advances in networking technologies such as DWDM (Dense Wave Division Multiplexing) that utilize existing physical infrastructure to deliver significantly higher bandwidth, the network service providers should be able to keep pace with growing demand. TechNewsWorld: What should CEOs look for in a VoIP service provider? Rodriguez: Enabling technologies and trends such as deregulation, open-source applications and cheaper more powerful processors have significantly lowered the barrier of entry to becoming a service provider. While these trends foster competition, they also encourage the entry of providers that may not be able to provide the level of service required for business class IP Telephony. With this in mind, it is critical for the decision maker to learn as much as possible about the potential provider. Ask for references from existing customers, look for industry recognition and awards, ask about underlying carriers, and most importantly—make sure you are able to test the service extensively before committing to an individual provider. TechNewsWorld: What should CEOs look for in VoIP equipment? Rodriguez: Is the system SIP or H323-based, or does it use a proprietary protocol? Will it support generic IP phones or does it require proprietary handsets? How does it support remote survivability? TechNewsWorld: There's talk about Wi-Fi headsets and VoIP as a combo that could conceivably replace cordless phones in homes and small businesses. How far are we from that picture? Rodriguez: Equipment vendors are approaching this with a two-phased approach. Several leading phone vendors are unveiling standard 5.8 GHz cordless handsets with integrated VoIP adapters that work with multiple handsets throughout the home. Very soon, we will see dual-mode GSM cellular and VoWLAN dual mode devices and a variety of innovative and economical services accompanying these products. TechNewsWorld: What's it going to take to push VoIP into the mainstream? Rodriguez: It already is in the mainstream—you can pick up a device at your local big box electronics or office supply retailer. On the business side, VoIP port shipments are already outpacing legacy PBX and Key System shipments. TechNewsWorld: Do you see any other issues coming down the pike that are encouraging or discouraging for VoIP? Rodriguez: As the number of subscribers increases, it will be incumbent upon the industry to proactively respond to legitimate policy concerns about challenges like 911 emergency services. In the early years of cellular adoption, that segment wrestled with the need to better triangulate user locations in the event of an emergency. Since we know that mobility introduces heightened technical complexity, the VoIP sector will evolve similarly. Improvements will arrive through an evolutionary—not revolutionary—process. What is particularly encouraging, is the adoption trend overall. Some projections place the number of U.S. residential VoIP subscribers by the end of this year to be 1.6 million. While this is a relatively small number compared to the total number of residential voice customers, it becomes quite significant when we realize there were only 600,000 such subscribers at the end of 2004. The breadth of equipment options, enhanced feature benefits, inherent network efficiencies and promotional efforts make VoIP an inevitability. The world's shortest fairytale: Once upon a time, a handsome young prince asked a beautiful young princess to marry him. She said no, and they lived happily ever after.